Nozawa Onsen, located in the northern region of Nagano at the base of Mt. 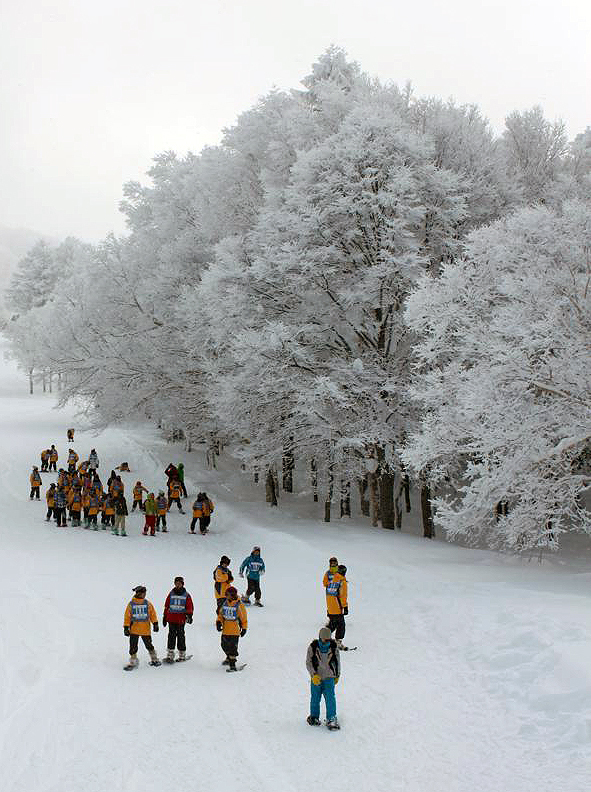 Kenashi-yama, offers a truly magical snow sport vacation opportunity. Nozawa Onsen is a traditional old Japanese village offering its guests old-fashioned Japanese hospitality. Nozawa Onsen has 30 distinct mineral springs feeding 13 public bath houses or ryokans. There are also a number of private onsens in the village, all will be an experience you will never forget! Ask us at the front desk if would like more information. Or you can download a town map here and get exploring. The onsens combined with some of the best powder skiing anywhere in Japan between December and April or early May make this a popular winter sport destination. The Nozawa Onsen ski resort opened over 70 years ago and is one of the largest snow resorts in Japan. 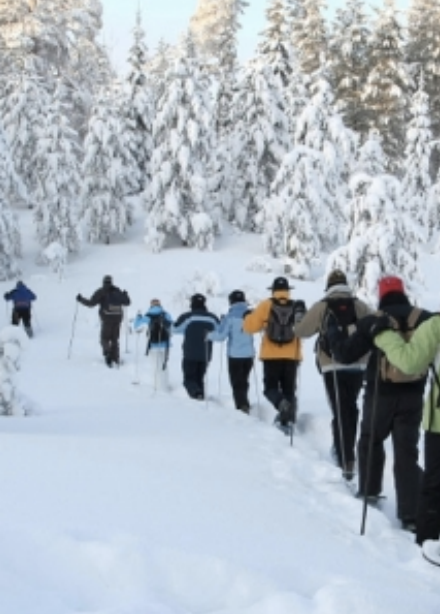 The resort offers over fifty kilometers of trails or pistes beginning at an elevation of 1,650 metres. The ski area includes 297 hectares of skiing surface. There is also the option of off-piste skiing off the back of the mountain, however it is recommended that you take a local guide with you. There are some great powder runs between the marked trails if you are an experienced skier looking for a more challenging run. On a clear day you can see the northern Japanese Alps and the Sea of Japan from the peak of Mt. Kenashi-yama. Jumps, Rails, Boxes & An 80m Pipe! There is a terrain park with jumps, rails, boxes and an eighty meter pipe for the snowboarders who are looking for something more adventurous than just a trip down the mountain. The resort boasts two gondolas and 23 chair lifts to whisk you back to the top once you reach the bottom of one of the 20 pistes or trails the longest of which is a 6.2miles (10km) run. If you want to take a break from skiing and soaking in the village onsens, there are also a few privately run onsens centers in town including the Nozawa Onsen Arena, built in 1993 this facility includes a sauna and solarium. The other option is The Nozawa Onsen Health Centre formerly known as Kurhaus it has steam boxes and outdoor onsens and a great experience for 1000 Yen. 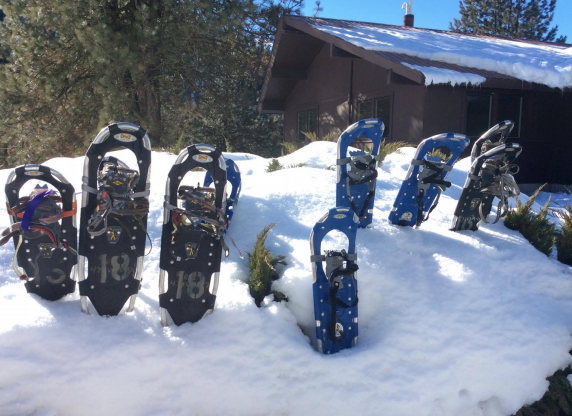 There are also snowshoeing, hiking and cultural experiences to be enjoyed. 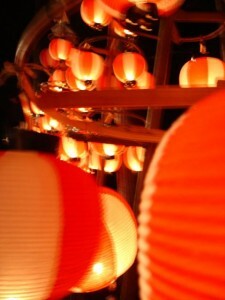 A stroll through the village with its friendly atmosphere and traditional Japanese charm is definitely worth it. The village’s old, narrow, cobbled streets bustle with traditional Japanese inns, modern hotels, hostels, wonderful and distinctive restaurants, bars, souvenir shops, street vendors and of course the free public bath houses. You must take advantage of the opportunity to visit more than one of the bathhouses as each has its own distinct water, customs and traditions. rentals available). Bring a camera or any other personal necessities. Keen? Register at Central Apartments, Lodge Nagano or Villa Nozawa as spots and shoes are limited! You may also find interesting the Japan Ski Museum which features a collection of historic skis from all over the world and presents a history of skiing in Japan. There’s also the Oborotukiyo Hall honoring Tatsuyuki Takano, a Nozawa Onsen native and noted writer of Japanese children’s songs. Other vacation activity options are visiting the traditional Shinto Shrines, or just chilling out and enjoying the hundreds of beautiful vistas and landscapes. If you are lucky enough to be in Nozawa Onsen on January 15th you should not miss the Dosoujiin Fire Festival, one of the most colorful fire festivals in Japan.